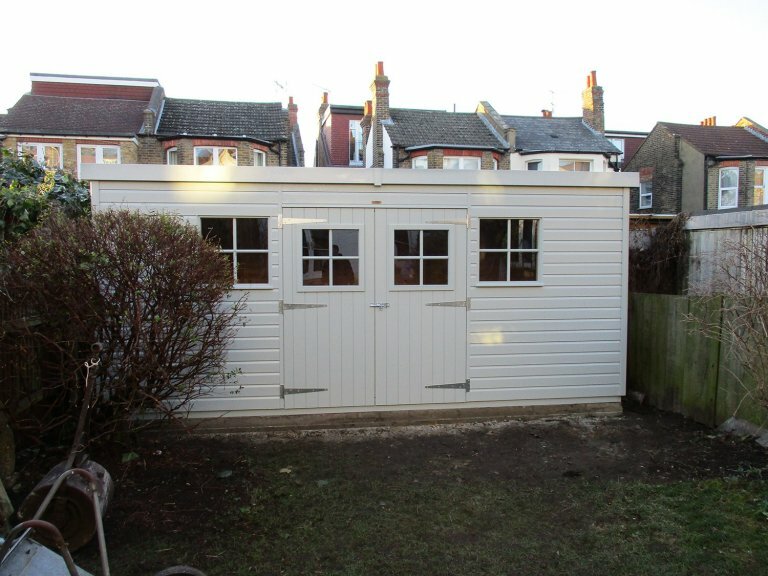 Measuring 2.0 x 5.0m, this is a bespoke timber garden shed with a pent roof covered in our heavy-duty, heat-bonded felt and featuring attractive Georgian windows. The exterior is clad with smooth shiplap and is painted in our Verdigris shade of paint, which was selected by the customer from our vast range of exterior paints including a Farrow & Ball collection. 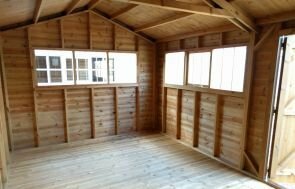 Internally, the shed has a heavy-duty floor and electrical pack fitted so that it can be used to store heavy-equipment and benefits from the use of appliances or lighting. Our electrical pack also boasts an external dual socket so that outdoor appliances such as lawnmowers and jet-washers can be plugged in and used with ease. 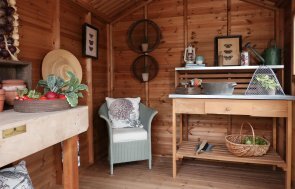 If this garden shed with electrics has inspired you to think about your own timber garden building, we recommend that you pay us a visit at our Surrey show centre based in Cranleigh, or get in touch with us to discuss your ideal building on 01760 444229.